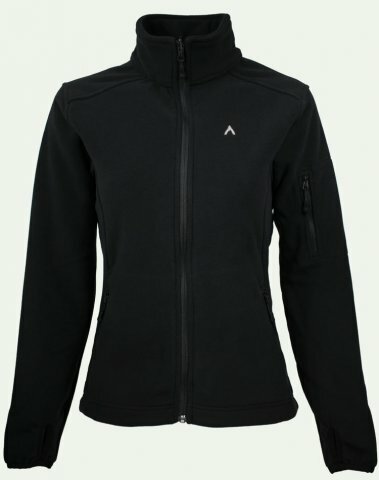 The 2019 Women’s Terracea Crossing Fleece is a great addition to their outerwear jackets. It zips right into place very easily and is surprisingly soft and very warm. The fleece also comes with inner media and goggle pockets as well as thumb holes and an outer arm pocket. You could wear this solo as a light layer or add it to an existing layer to beef up the warmth. The Crossing Fleece also comes with a DWR coating so it is slightly waterproof. The fleece is also a Polartec® Windpro® jacket, which is supposed to be up to 4x more wind resistant than a normal fleece. Overall the Crossing Fleece is a really warm and cozy fleece that you probably aren’t gonna want to take off once it is on. Would be a great mid-layer addition or would also do well as a light jacket for everyday use. We try to get as many images of the Terracea Women's Crossing Fleece , but forgive us if they're not all there.